With SPF 50 you get a very high protection against the suns UVA and UVB rays. Sunscreen factor 50 is recommended to you have a pale or red skin, which is very sensitive and cannot get tanned; skin type 1-2. Read more about skin types and ideal protection here. You can still get tanned with a high SPF. The tan will appear within a few days after sunbathing, but will last longer. With P20 SPF 50 your children are well protected for outdoor activities. 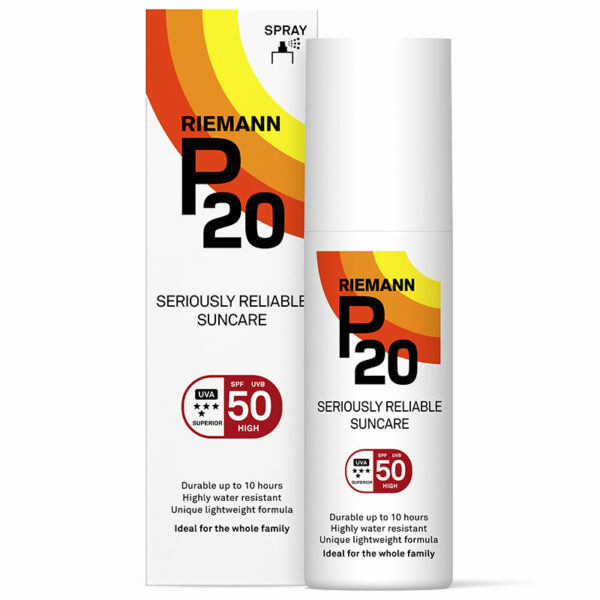 SPF 50 is available in a unique transparent lightweight spray in 100 ml & or 200 ml. Note: This is a general guideline as everyone’s skin is different. You should determine your own skin’s tanning ability. Use common sense and try appropriate products for brief periods of time in the sun to avoid over exposure and/or sunburn.